Sonja Bent and Elin Hrund have set up a workshop / showroom in the entrance hall of the Design Museum. Their aim is to build a new fragrance library from the Icelandic flora. 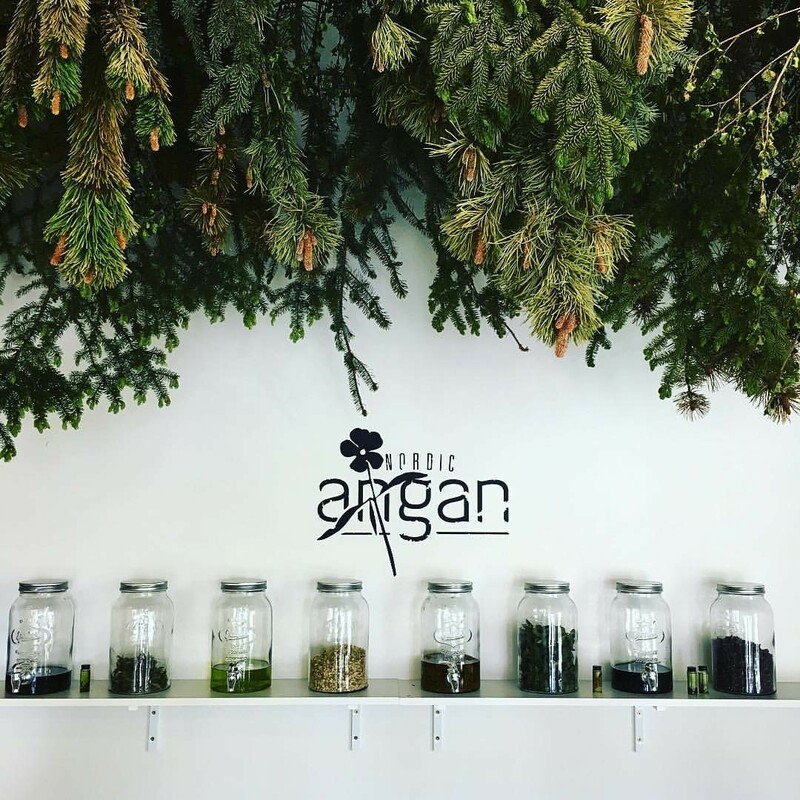 They make essential oils by distilling and extracting fragrance from Icelandic wildflowers, plants, bark, and tree trimmings. Handmade incense, candles, wallpaper and parfume still lifes are part of their creation. Sonja Bent is a fashion designer. Three years ago her father became seriously ill and she devoted her time to look after him. As a result they spent a lot of time together distilling which was a passion of the late Þórir Bent. By sharing his knowledge with Sonja he gave her a key deep into the magical world of Icelandic nature. Elín Hrund studied philosphy, design and cultural communication. Recently she has been working for the Icelandic Design Centre. She has been involved various design projects as well as designing and marketing her own products. Elín Hrund joined Sonja six months ago.